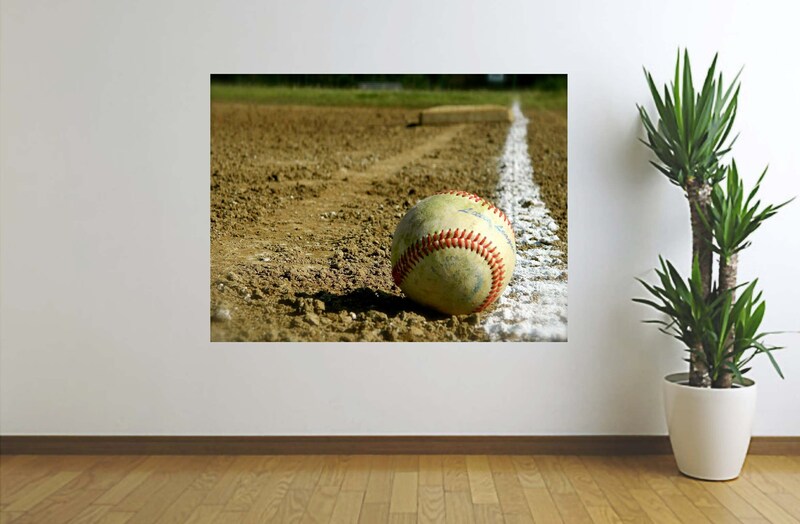 This decal is for every baseball lover. 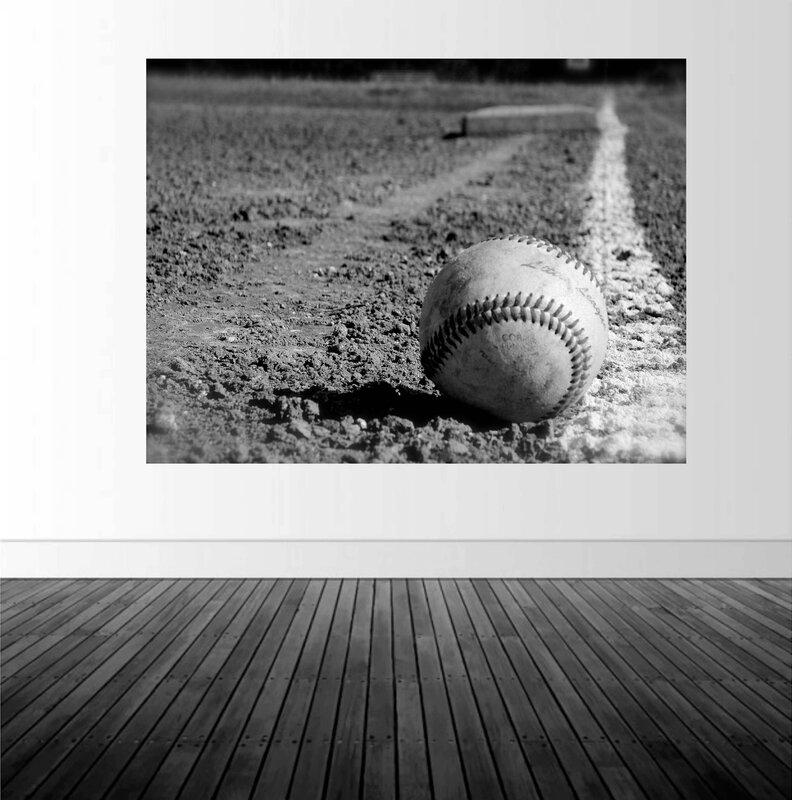 Living with four baseball players in my house, I draw inspiration from watching them play. Plus, I have to work with what I'm given sometimes and I am always on a baseball field somewhere! I took this photo before a game as my husband was lining the field. There is something peaceful about a fresh field before all the players arrive, that makes me appreciate the game my boys love. 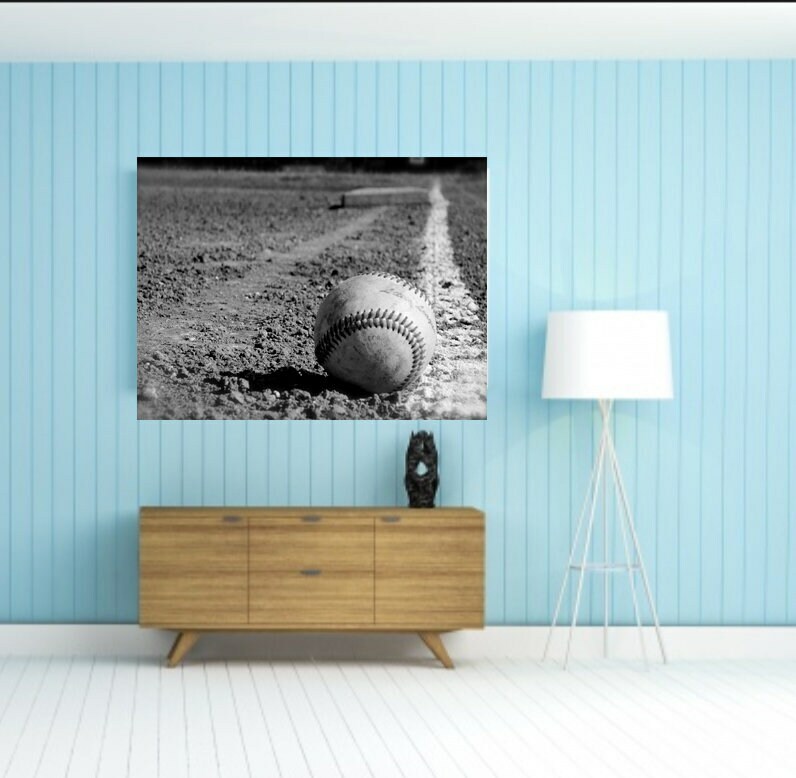 This decal is printed in full color, it comes in multiple sizes and would look great in any Man Cave, Boy's Bedroom or game room. 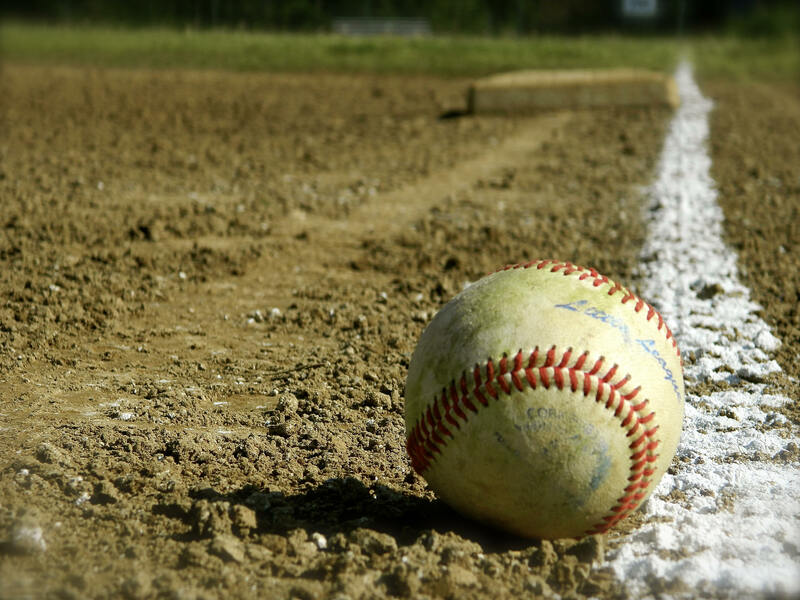 It is an actual photo of a baseball and baseball field. 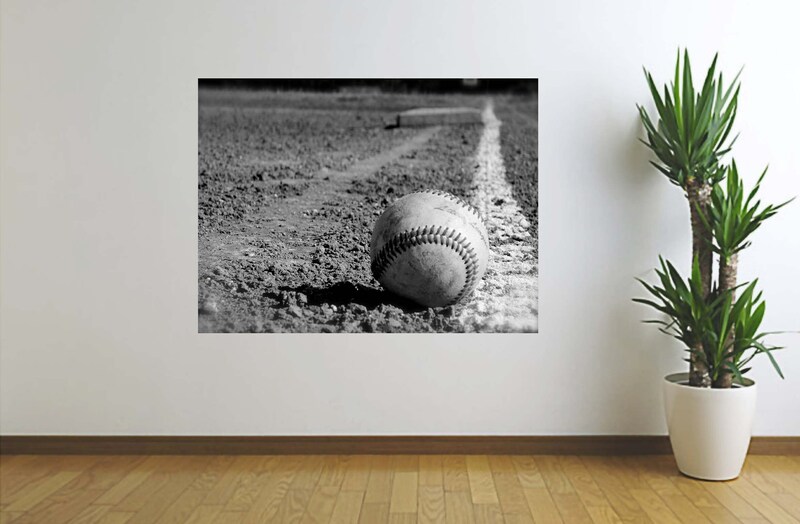 It makes a great statement piece for your favorite baseball player! 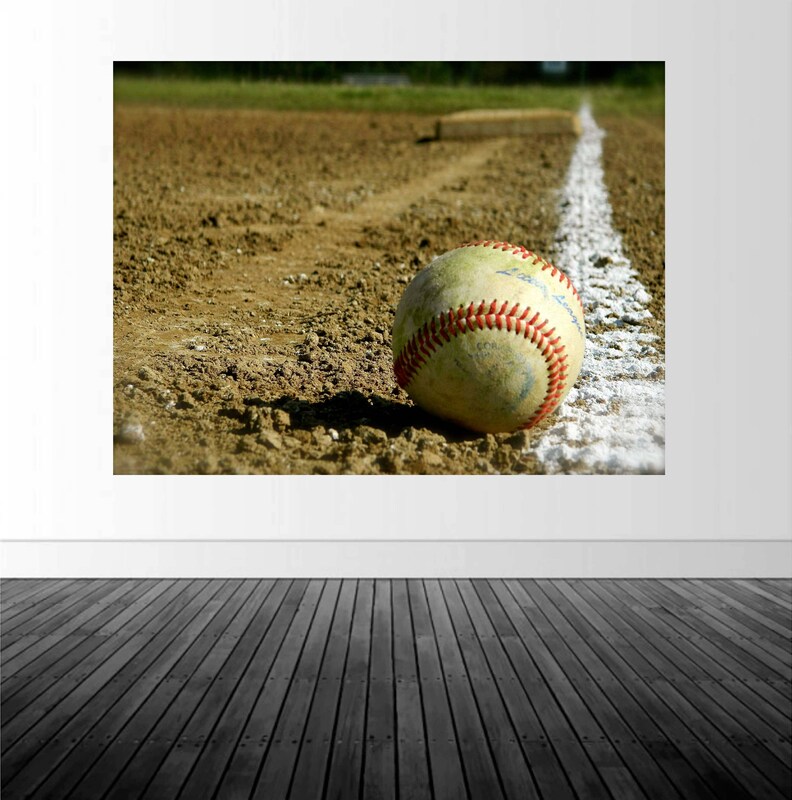 This decal can also be personalized with a player, number or team name at no additional cost.